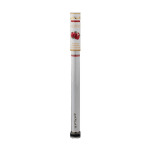 Sorry, Eshish E-Hookah Stick, Single - Pomegranate Flavour has been discontinued. Flavourful disposable E-Shish brand e-hookah stick. Ready-to use, nicotine free, 300 puffs per stick.